My husband is in the Army and in his unit the spouses have a Coffee Group that meets each month…we do anything but “coffee” though! In the past we’ve had craft nights, Cinco de Mayo celebrations, and ugly bridemaid themed parties! 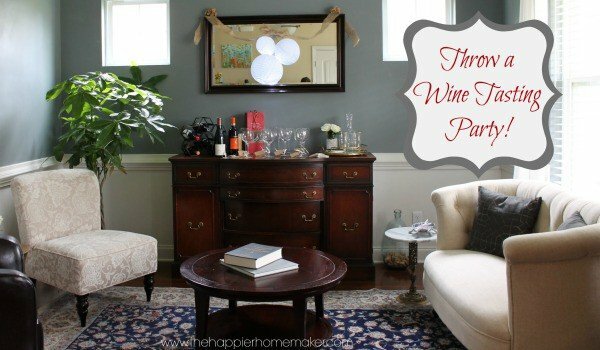 This month was my turn to hostess and I decided on a wine tasting party! We even let the husbands tag along so our ladies had designated drivers! I set up the Sitting Room as the wine station. I used Gecko Tech Reusable Hooks to add some cute lace hanging lanterns and burlap ribbon bow to the mirror above the buffet/bar area. I like them because they can be easily removed and reused over and over (test on flat paint first-our flat paint leaves marks from everything unfortunately.) 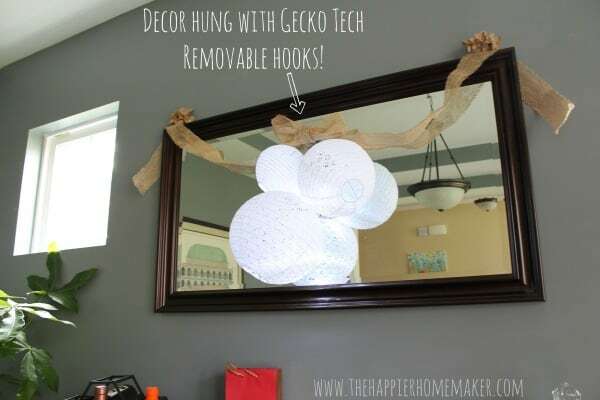 It was so easy to hang up my decor for the party and take it down afterwards! On the bar I had all the glasses displayed and added a cute tag to each one as a sort of name tag and to help prevent glass mix-ups! I added tags to the wine bottles too describing the wines-where they were from, the variety, and a brief summary of the taste. 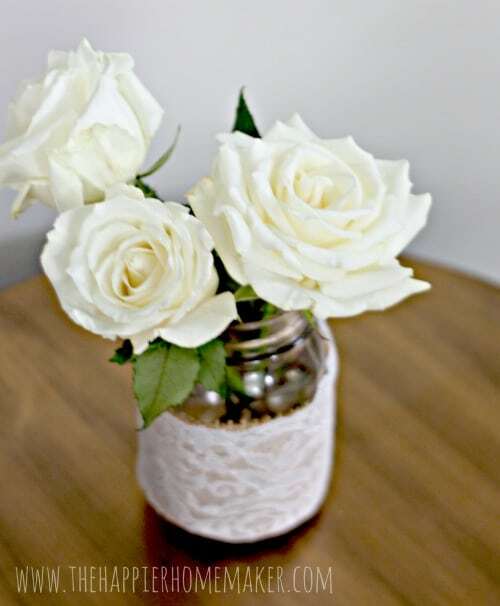 All throughout the house I had small bouquets of creamy white roses in mason jars I wrapped with burlap (like my stepsister’s bridal shower) and then covered the burlap with lace. I loved the look! We do a little raffled off gift each month and I found the cutest bag for this one-isn’t it funny? 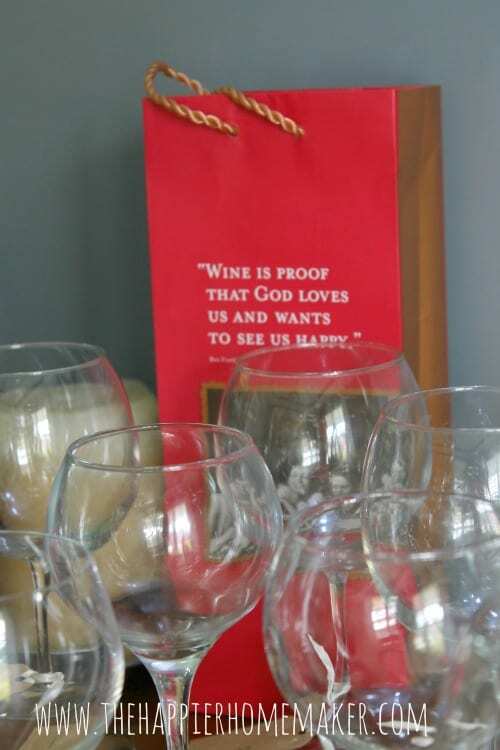 I filled it with wine glass tags, chocolate made to accompany different types of wine, and cute little wine-themed cocktail napkins. 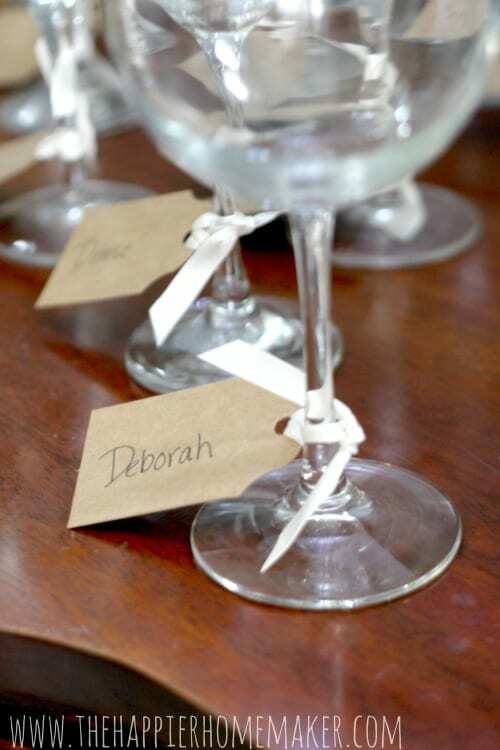 I also made some wine tasting printable note cards so the ladies could make notes on the different wines they were tasting and remember what they tried. You can print your own wine tasting note cards out here! 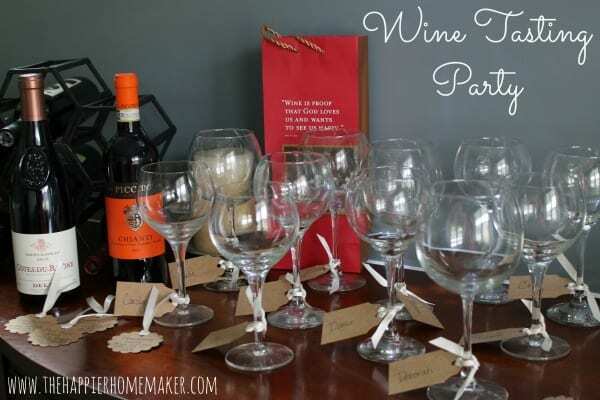 Have you ever thrown a wine tasting party? What’s your favorite type of wine? This looked SO fun and I absolutely love the printable! 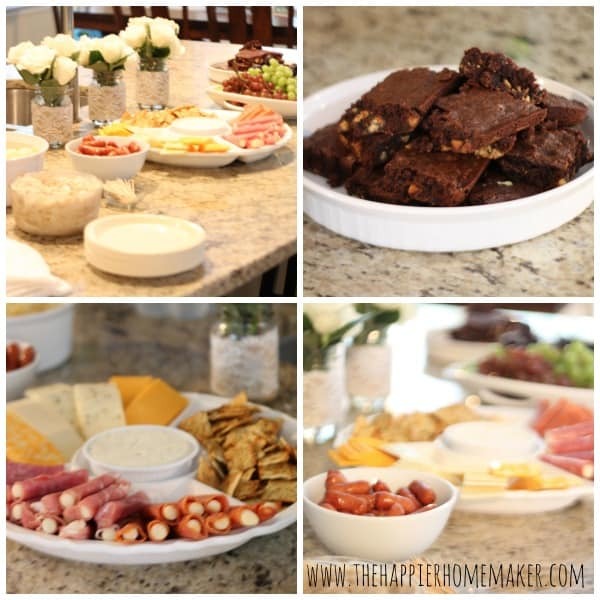 Can’t wait to host a party like this for my girlfriends! Thanks Keri, it was a blast!! I know that you do girl!! I’m the opposite, I love super dry wines! 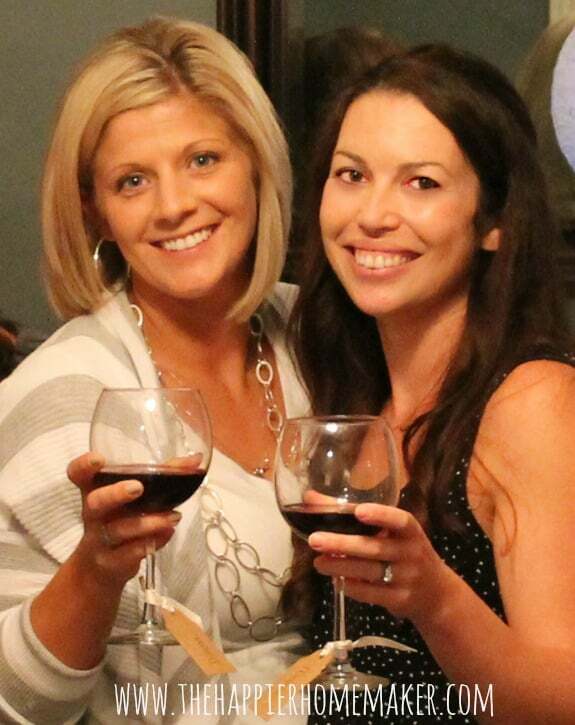 I hope you do have a tasting party-it was so much fun!! What a fun party! If you have one next spring you better invite me! i’m coming to your next party! 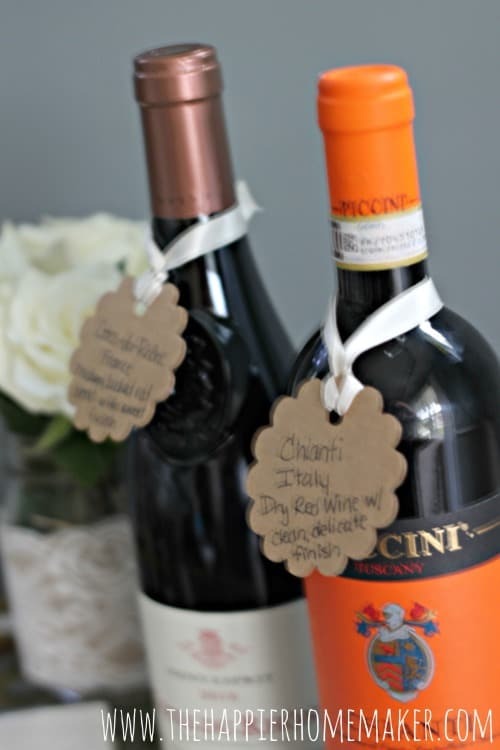 so fun and love those wine glass labels! Wow! What a fabulous party. I love your attention to detail, Melissa. The name tags for the glasses are my favorite! Thanks Lauren!!! It was a blast!